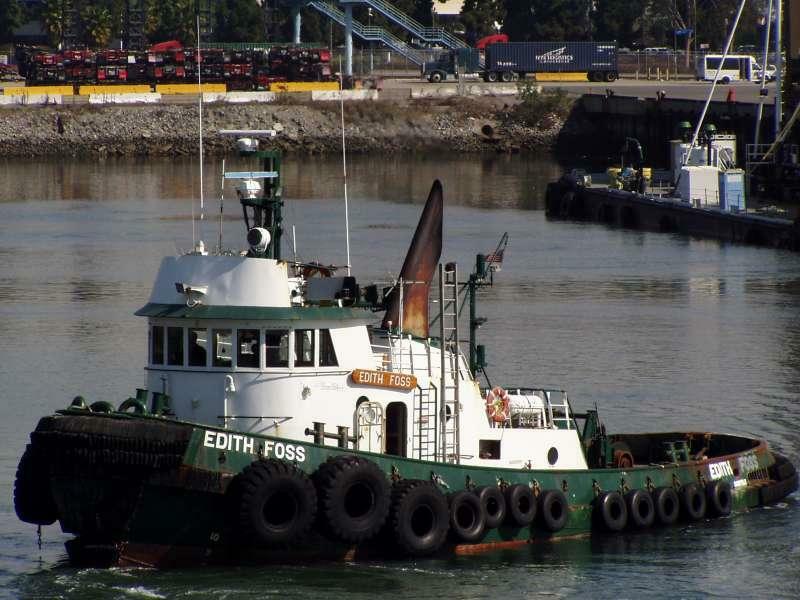 Built in 1980, by Main Iron Works Incorporated of Houma, Louisiana (hull #354) as the Edith Foss for the Foss Maritime Company of Seattle, Washington. The tug was then chartered out, where she was renamed as the Warrior. She was eventually returned to the Foss Maritime Company. Where she was renamed as the Edith Foss. Powered by two, Caterpillar D-398 diesel engines. With Caterpillar 7261 reduction gears, at a ratio of 4.6:1. Turning two, 76(in) by 76(in), Coolidge, fixed pitch propellers, with flanking rudders. 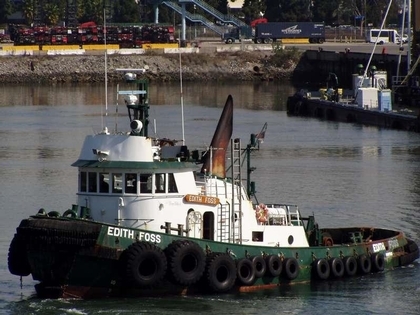 She is a twin screw tug, rated at 2,379 horsepower. Her electrical service is provided by two, GM Detroit Diesel 4-71 generator sets. With a hydraulic PTOs. The tug's capacities are 21,189 gallons of fuel, 453 gallons of hydraulic oil, 384 gallons of lube oil, and 3,283 gallons of potable water. The towing equipment consists of an Intercon SD-150, single drum, towing winch. Outfitted with 2,000(ft) of 1.5(in) towing wire. And, a Foss Mk2 bow winch. With an air clutch and wildcat. Outfitted with 150(ft) of 1 1/8(in) ship wire.